Igbinedion University Appoints Oyo Guber aspirant, Adeolu Akande, Professor – Royal Times of Nigeria. The 52-year-old Oke-Ogun Oyo State indegene, who bagged his doctoral degree in Political Science from the University of Ibadan 20 years ago is one of the strongest governorship aspirant on the platform of the All Progressives Congress (APC) in Oyo State. The management of Igbinedion University, Okada, Edo State has formally announced by the appointment of Adeolu Akande as a substantive professor of political science. With the elevation, he becomes a substantive professor having been visiting since 2016. 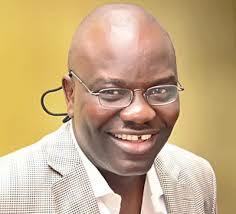 A statement by the ‎institution’s spokesperson, Obajide ILUGBO, said the Otu-Oyo State born media expert has also been appointed ‎the Director of the Centre for Presidential Studies of the University. Adeolu Akande, who is a former Chief of Staff to Oyo Governor is now a Professor of Political Science in the Department of Political Science and Public Administration under the College of Arts and Social Sciences of the University. The 52-year-old governorship aspirant on the platform of the All Progressives Congress (APC) in Oyo State, bagged his doctoral degree in Political Science from the University of Ibadan 20 years ago, in July 1997.He had earlier obtained his M.Sc and B.Sc (2nd Class Upper) in 1990 and 1987 respectively in the same institution. He began his academic career in 1990 as a Graduate Assistant in the Department of Political Science, University of Ibadan when he was retained from the post graduate class. He later ventured into Print Journalism and was Reporter, Editor and Editor-in-Chief of several newspapers and magazines. He was Reporter/Feature Writer/ Editorial Board member of Nigerian Tribune between 1991 and 1993, South-West Regional Editor of The Punch Newspapers (993 -1995), Deputy /Acting Editor, Sunday Tribune (1995 -1997), Editor-in-Chief/Director, Omega Weekly Magazine (1997-1999); Consulting Editor/Member Editorial Board, Nigerian Tribune (1999-2001). In 1999, Adeolu Akande returned to academics at the Department of Political Science, University of Ibadan. Two years later, he was appointed Deputy Chief Press Secretary to the Vice President, Federal Republic of Nigeria in 2001. He later became a Special Assistant (Research & Communication Strategies) to the President, Federal Republic of Nigeria in 2003. In 2011 he was appointed the Chief of Staff to the Governor of Oyo State, Governor Isiaka Ajimobi.